The key difference between sulfur, sulfate and sulfite is that the Sulfur is an element whereas the Sulfate and Sulfite are Oxy-anions of Sulfur. Chemicals have very unique names. Sulfate (Sulphate), sulfite (Sulphite), and sulfur (Sulphur) are three chemicals with very different chemical and physical properties. A chemist or anybody who is familiar with chemicals may have no problem in distinguishing the differences between these 3 chemicals, but for someone who is not familiar, these names sound somewhat the same. Let’s find out the difference between sulfur, sulfate and sulfite. Sulfur is a non-metallic element. The chemical symbol of this element is S. Also, the atomic number of this element is 16. 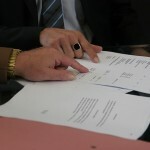 Moreover, sulfur is present in numerous compounds and in various forms. Therefore, we call it an allotropic element. In the pure form, sulfur can have many physical forms. 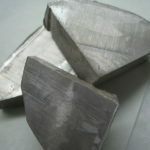 The most common is the crystalline yellow color solid which is very brittle. Besides, sulfur is extremely reactive and has many applications. It is useful in the production of gunpowder, insecticides and prescription drugs etc. Sulfate is an oxy-anion of Sulfur (An oxy-anion is oxygen containing negative ion). Even if you are not familiar with this ion, you must be knowing Sulfuric acid. Sulfuric acid consists of two H+ ions and one sulfate ion. The empirical formula of this ion is SO42- . It is a polyatomic anion. Therefore, in this ion, Sulfur atom is the central atom and four oxygen atoms are covalently bound to this central atom. 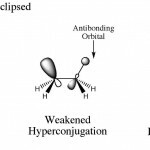 Furthermore, the two oxygen atoms bind via double bonds and the other two are single bound. 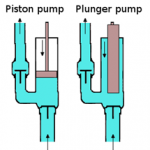 Therefore, the single bound oxygen atoms originally contain a Hydrogen atom in each of them. When this ion forms, it releases H+ and carry negative charges. Accordingly, the geometry of the ion is tetrahedral where oxygen atoms are in the four corners of the tetrahedron. 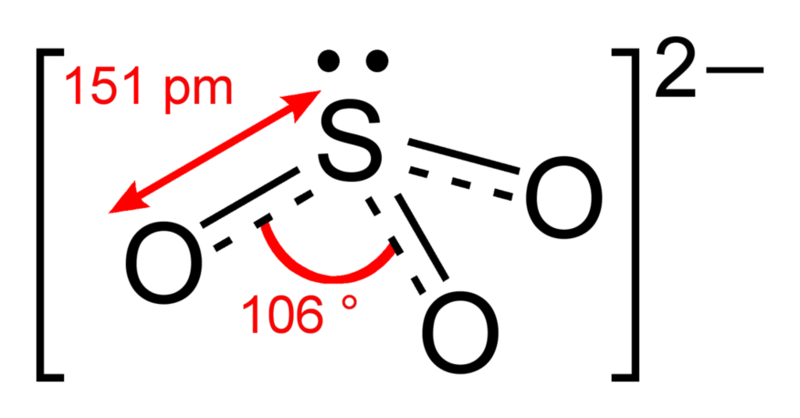 Sulfite is another oxy-anion of sulfur. The empirical formula of this ion is SO32-. It also contains two negative charges similar to sulfate ion. Therefore, the difference between sulfate and sulfite lies in the number of atoms present in the ion. Here, this ion has three oxygen atoms doubly bonded to the central Sulfur atom. When the H+ ions are present, the sulfite becomes sulfurous acid. Furthermore, the geometry of this anion is trigonal pyramidal. Thus, the Oxygen atoms are at the three edges, and a lone pair of electrons is on the top. Looking at its properties, sulfurous acid is relatively weaker than the Sulfuric acid. What is the Difference Between Sulfur, Sulfate and Sulfite? Sulfur is a non-metallic element having the atomic number 16. Whereas, sulfate is an oxy-anion of sulfur having the chemical formula SO42-. On the other hand, sulfite is also an oxy-anion of sulfur having the chemical formula SO32-. Therefore, the key difference between sulfur, sulfate and sulfite is that the sulfur is an element whereas the sulfate and sulfite are oxy-anions of Sulfur. Accordingly, another difference between sulfur, sulfate and sulfite is that the mass of sulfur is 32.065 amu while the mass of sulfate is 96.06 g/mol. On the other hand, the mass of sulfite is 80.06 g/mol. 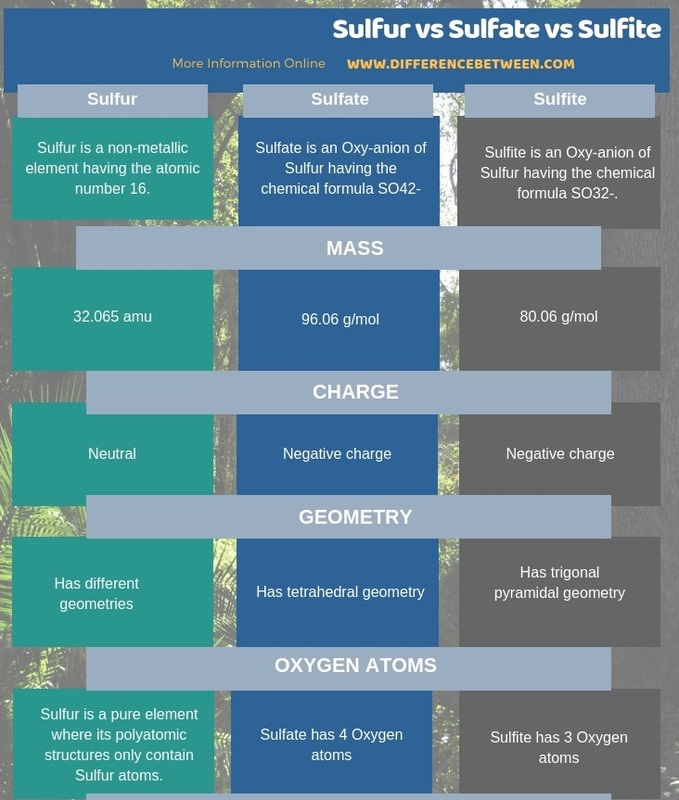 The below infographic on difference between sulfur, sulfate and sulfite shows more differences that exist between these three chemicals. 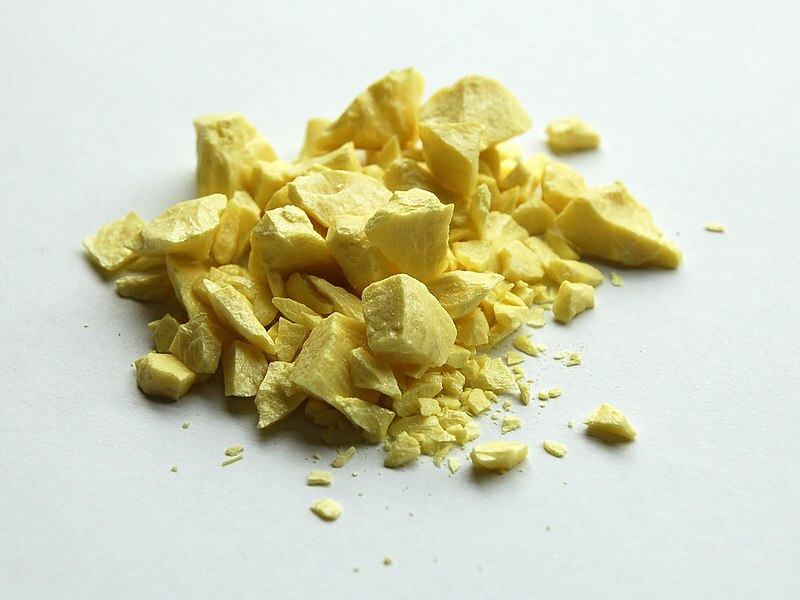 Sulfur is a nonmetallic element that involves in the formation of different compounds. On the contrary, sulfate and sulfite are oxy-anions formed from the combination of sulfur and oxygen. Therefore, the key difference between sulfur, sulfate, and sulfite is that the sulfur is an element whereas the sulfate and sulfite are oxy-anions of sulfur. thank you,My doctor wants me to start taking Albuteral sufate. seeing as how I can”t take flu shot because of the sulfur in it. I wanted to make sure this will be safe for me to take.